The O2 arena, visually typeset in branding as The O2 arena, is a multi-purpose indoor arena located at the centre of The O2, a large entertainment complex on the Greenwich peninsula in South East London, United Kingdom. With a capacity of up to 23,000 depending on the event, it is one of the largest indoor arenas in Europe alongside the MEN Arena in Manchester, the Lanxess Arena in Cologne and the Belgrade Arena in Belgrade. In 2008, The O2 arena took the crown of the World's Busiest Arena from the MEN Arena, a title which it had held since 2001. 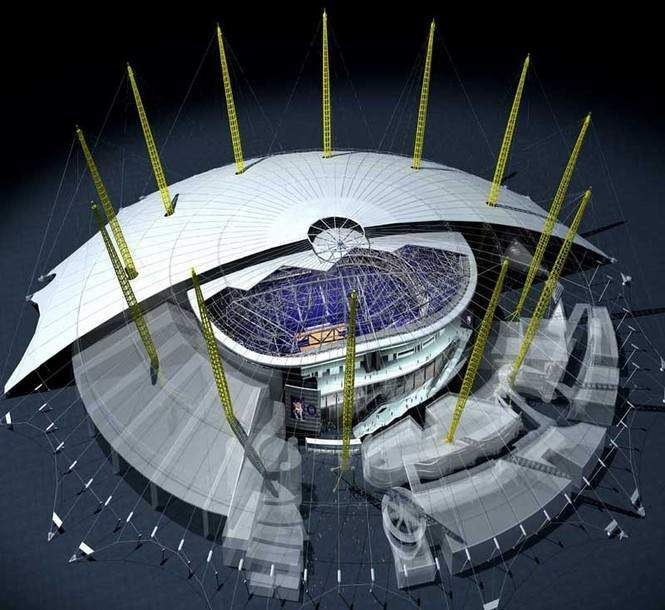 Following the closure of the Millennium Experience at the end of 2000, the Millennium Dome was leased to Meridian Delta Ltd. in 2001, for redevelopment as an entertainment complex. This included plans for an indoor arena. Construction of the arena started in 2003 and finished in 2007. Owing to the impossibility of using cranes inside the dome structure, the arena's roof was constructed on the ground within the dome and then lifted. The arena building's structure was then built around the roof. The arena building, which houses the arena and the arena concourse, is independent from all other buildings in The O2 and houses all the arena's facilities. The whole arena building takes up 40% of the total dome structure. The seating arrangement throughout the whole arena can be modified, similar to the Manchester Evening News Arena. The ground surface can also be changed between ice rink, basketball court, exhibition space, conference venue, private hire venue and concert venue. The arena was built to reduce echoing which has previously been a problem in many London music venues. The sound manager for U2, Joe O'Herlihy, worked with acoustic engineers to introduce measures such as sound absorbing material on the arena roof and the bottom of strategically placed seats to reduce echoing. Despite The O2 arena's being open for only seven months of the year, the venue sold over 1.2 million tickets in 2007, making it the third most popular venue in the world for concerts and family shows narrowly behind the Manchester Evening News Arena (1.25 million) and Madison Square Garden in New York (1.23 million). In 2008, it became the world's busiest venue taking the crown from Manchester's MEN Arena with sales of more than two million. The O2 opens at 9am and is open till late. Last admission is at 1am! Please note tickets can only be purchased from the The O2 arena or The O2 bubble Box Offices in person. For telephone bookings, please contact Ticketmaster on 0844 856 0202. Choose a category below to browse our events and book. Please note that unless otherwise stated, times are venue door times and not show times. The Jubilee Line to North Greenwich for The O2 (Zone 2). The Jubilee line is the only Underground route that connects with all others - so not only can London residents reach us with no hassle, National Rail passengers from all over the UK can too. The walk from North Greenwich underground station to The O2 is approximately 200m. Eight TfL bus routes operate to and from The O2 including three 24 hour bus services. Key destinations include Stratford, Charlton, Greenwich, Lewisham, Woolwich, Eltham, North Kent and Central London. Please visitwww.tfl.gov.uk for timetable information. The O2 Shuttle bus service operates to Charing Cross to link up with the extensive London night bus network as well as Waterloo mainline station. Service leaves from North Greenwich bus station from Bus Stop D. This is a one way service only after the event. Just one stop via the Jubilee line from Canary Wharf or Canning Town. Charlton mainline station is just a short ride on either a 486, 472 or 161 bus from North Greenwich underground station. All these buses start their route from North Greenwich underground so there is no confusion as to which way to go! Southeastern runs services to Charlton train station. Turn left out of the station and catch 486, 472 or N472 buses to North Greenwich, taking you approximately 10 mins to reach the front door of The O2. Find out more aboutSoutheastern Railway. The current network takes the Eurostar into St. Pancras, from where you only need to jump on the Northern Line down to London Bridge where you can then change for the Jubilee Line. Please feel free to contact at any of the relevant addresses if you have enquiries about The O2. 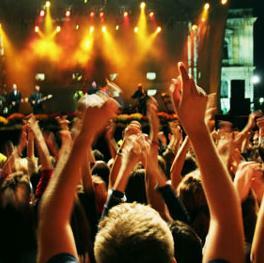 Ticketmaster's telephone booking service is available 24 hours a day, 7 days a week. Call to book tickets, check if a booking has been received or a refund processed. Contact to book accessible tickets for The O2 arena, indigo2, The O2 bubble exhibition centre or disabled parking for The O2 arena and for customer service after ticket purchase. I was wondering if there was a box office at the O2 arena where I can go and buy tickets in person. O2 do have a box-office on-site where you can purchase tickets for events at The O2. On event nights the box-office opening hours are 12-9pm and on non-event nights 12-7pm. The Box-office is located on the left hand side outside of the main entrance.